Today is the day all the basketball fans were waiting! 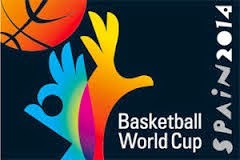 The time of the Grand Final of the 17th World Basketball Cup has arrived! Tonight at 22.00 the undefeated team of USA will play against the surprise of the tournament, Serbia that keeps improving their performance! Today the question, everybody is asking, will be answered: can the Americans super athletes from the NBA can be defeated or will they be crowned once again World Champions!